"Hellion" is Crispin Glover's actual middle name. When you have a Hollywood actor for a father, you get lucky like this. Most people probably know Glover for his acting roles—George McFly in Back to the Future, Rubin Farr in Rubin & Ed, Layne in River's Edge, Phil in Hot Tub Time Machine, and Andy Warhol in The Doors. 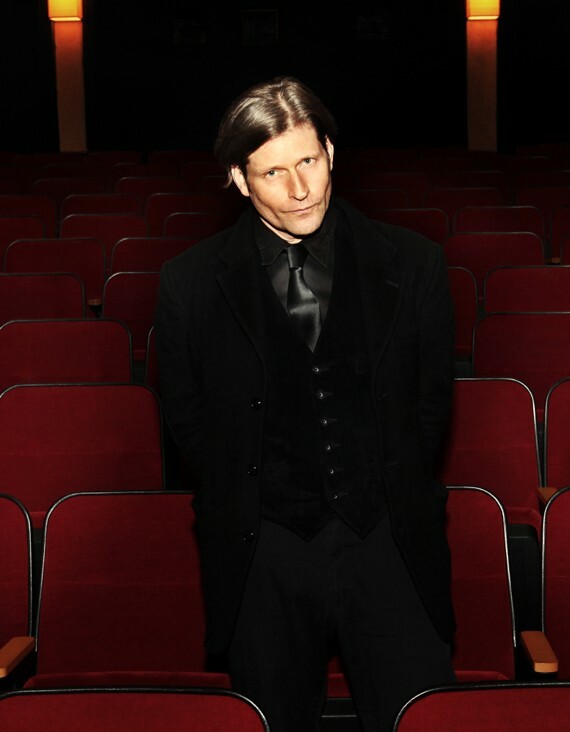 What most people DON'T know is that the inimitable Crispin Hellion Glover is a wildly unconventional film director. His films are hard to see—in several senses. They're not on DVD or hiding somewhere on the internet. This is probably for the best, as Glover’s films aren’t exactly easy to watch. His surrealist opus What Is It? and its counterpart It Is Fine! EVERYTHING IS FINE., the first two parts of his It trilogy, are overflowing with imagery mainstream culture considers taboo—and both It films feature actors with Down syndrome and other disabilities. Screening only at museums and arthouse theaters, Glover presents his films in person, turning the screenings into performances not unlike old-style road shows. You won't ever see one of his films if he's not right there in the theater with you. In person, he provides necessary context to the narrative perspectives, especially in It Is Fine! EVERYTHING IS FINE., which is the story of Steven C. Stewart, a man with cerebral palsy (and a strange fetish for women with long hair.) He last came to Seattle to screen his films in 2011. 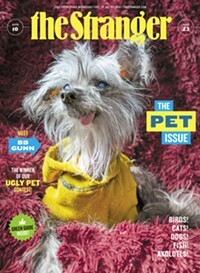 Crispin Hellion Glover presents It Is Fine! EVERYTHING IS FINE. on November 19 and What Is It? on November 20 at Northwest Film Forum. Both screenings include his "Big Slide Show," a Q&A, and a book signing. It Is Fine! Everything Is Fine! Taboo You: Crispin Glover and What Is It?